So I kinda have this new passion. I love to bake cakes, but now I have doing more of it in the crockpot!!! It is one of those things that no one typically thinks of, but it makes a super moist and delicious cake! 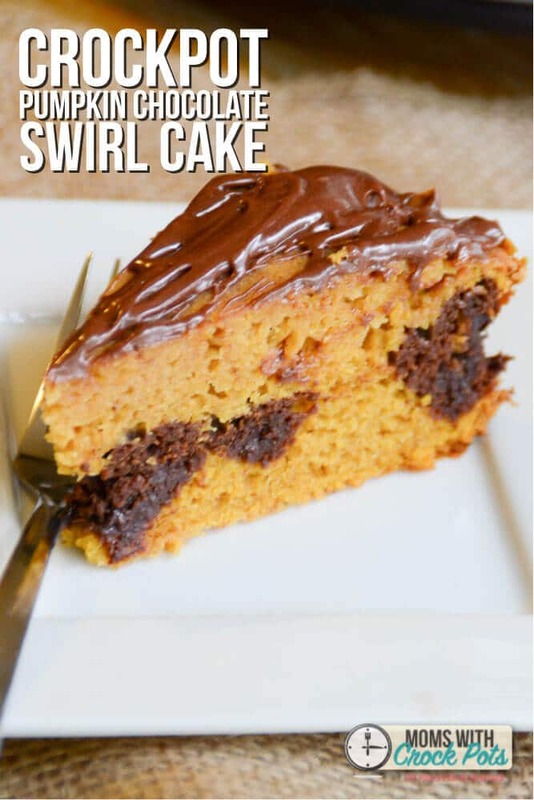 Like this Crockpot Pumpkin Chocolate Swirl Cake!!! I mixed up the pumpkin cake batter using my homemade cake mix. You could totally use a store-bought yellow cake mix for this. I removed 1 cup of batter from the bowl and I mixed in some cocoa powder & chocolate chips into the cup. I lined my crockpot with parchment paper. 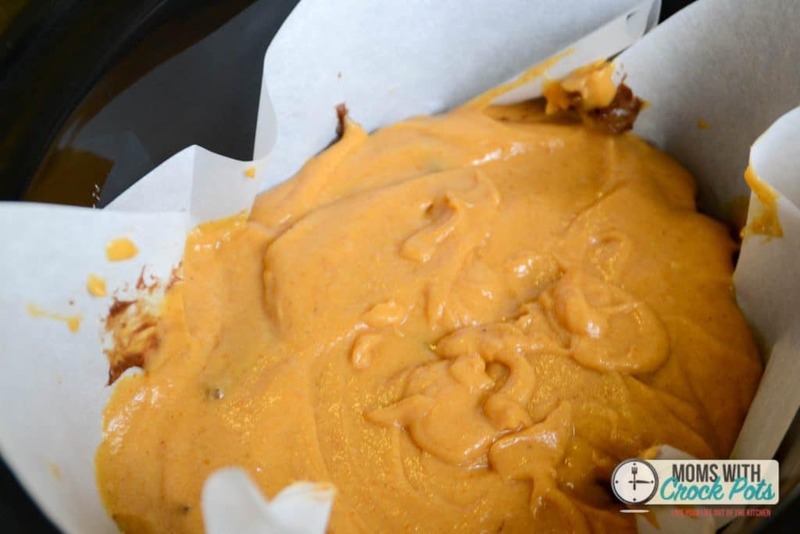 You can spray it with non stick cooking spray, but the parchment paper works SO MUCH BETTER! 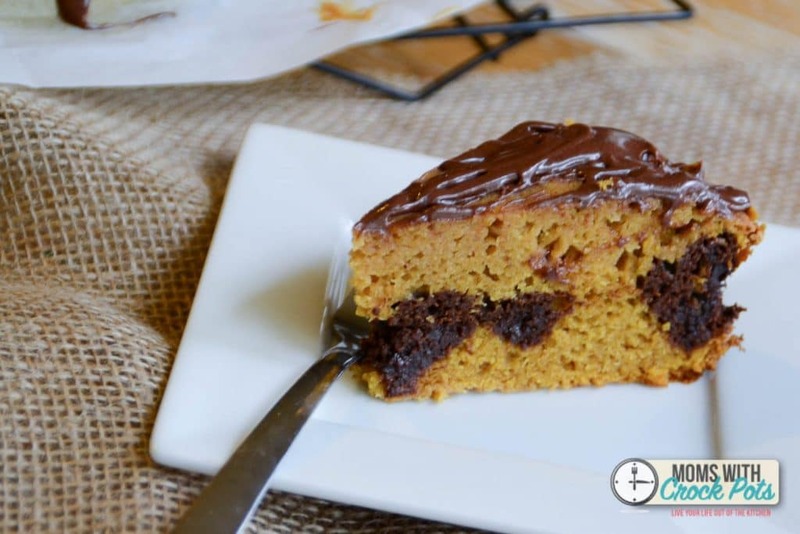 Layer in half of the pumpkin cake batter, then the chocolate batter, then the other half of the pumpkin batter. Cover and cook on low for 2 1/2 to 3 hours or until a toothpick inserted in the center of the cake comes out clean. Remove the lid and let the cake cool completely. Now comes the fun part! I took some chocolate icing and put it in a bowl. I popped it in the microwave for about 30 seconds. Just long enough to make the icing runny when stirred. Drizzle that chocolate icing over the cake. 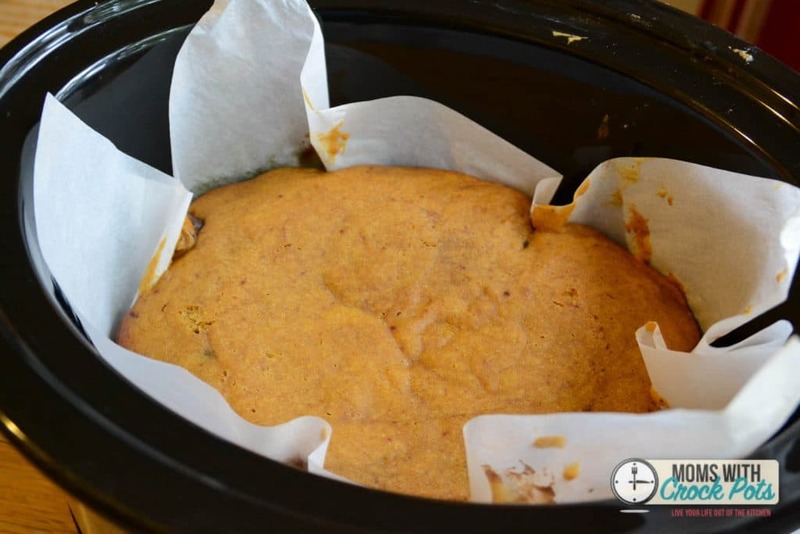 Line a 6 qt crockpot with parchment paper. 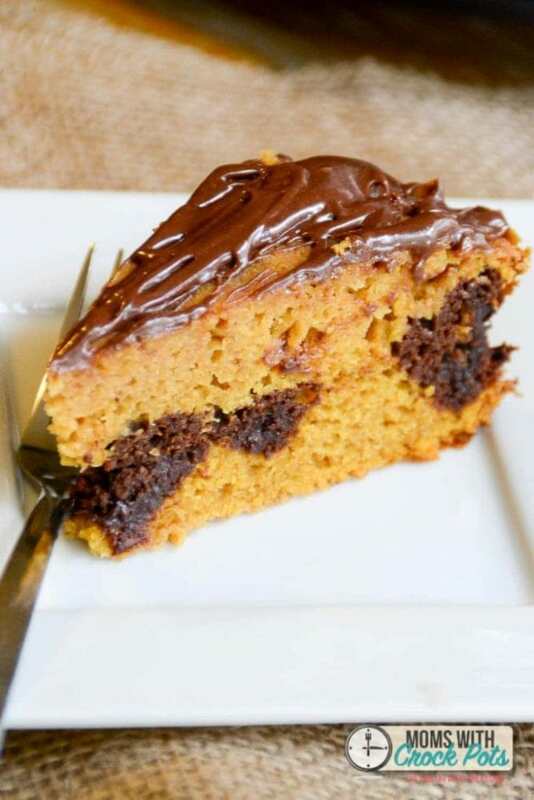 In a large bowl beat cake mix, pumpkin, water, oil, eggs, and spice with an electric mixer until well combined. Pour 1 cup of the batter into a separate measuring cup and mix in the chocolate chips & cocoa. 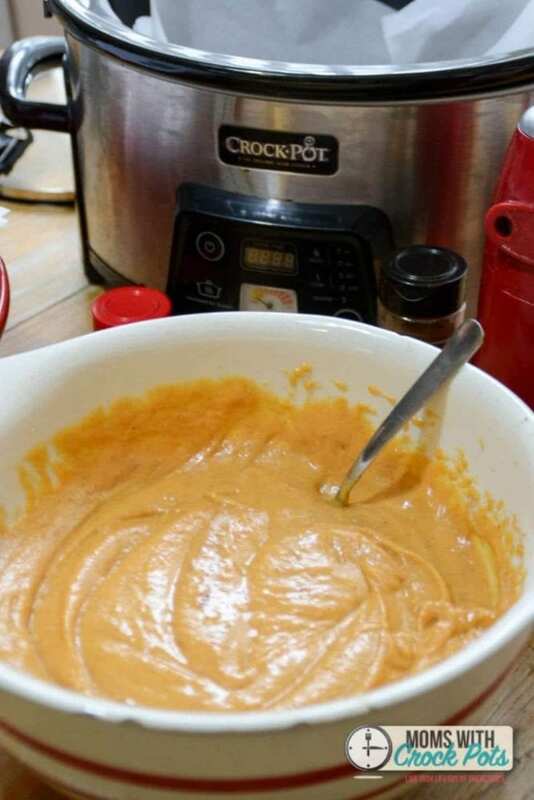 Pour 1/2 of the pumpkin batter into the crockpot. 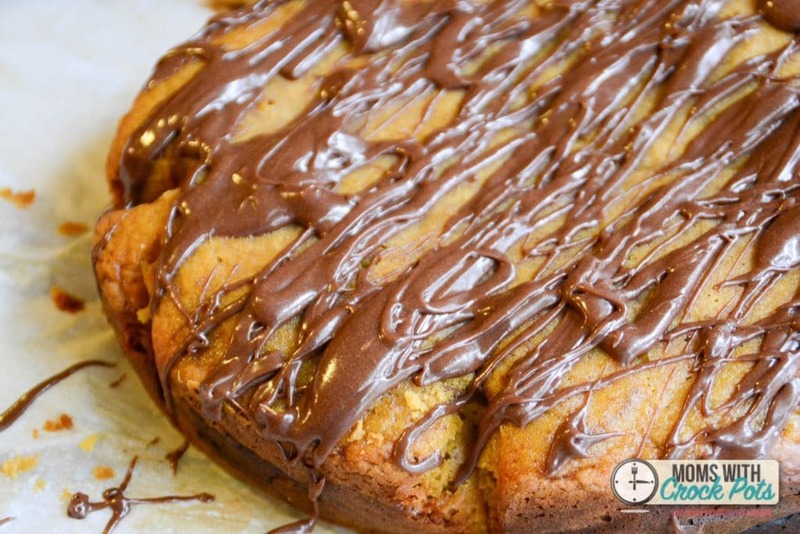 Top with the chocolate batter. Then finish it off with the rest of the pumpkin batter. Cover and turn crockpot on low for 2 1/2 - 3 hours or until a toothpick inserted into the center of the cake comes out clean. Remove lid and allow cake to cool completely. Use a dairy free chocolate and frosting.